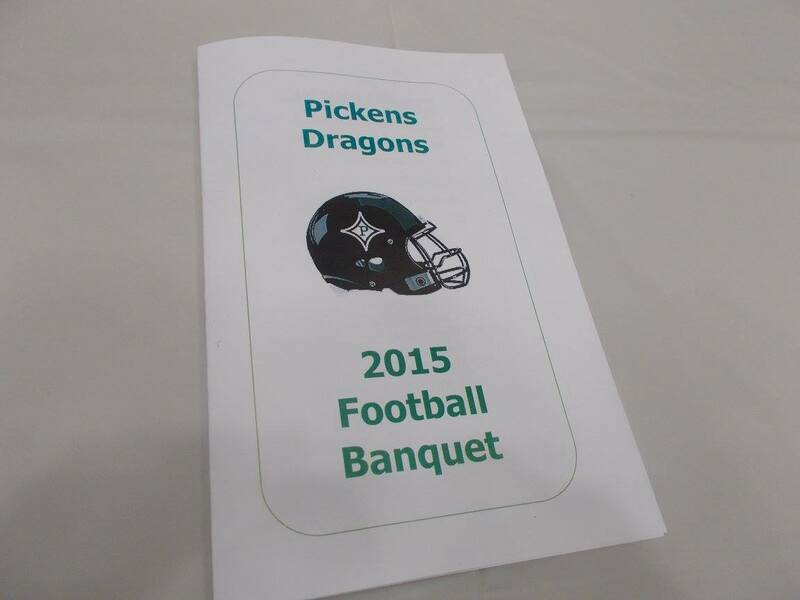 Earlier this evening, the PHS football team held it’s anual end of year banquet at Chattahoochee Technical College in Jasper. 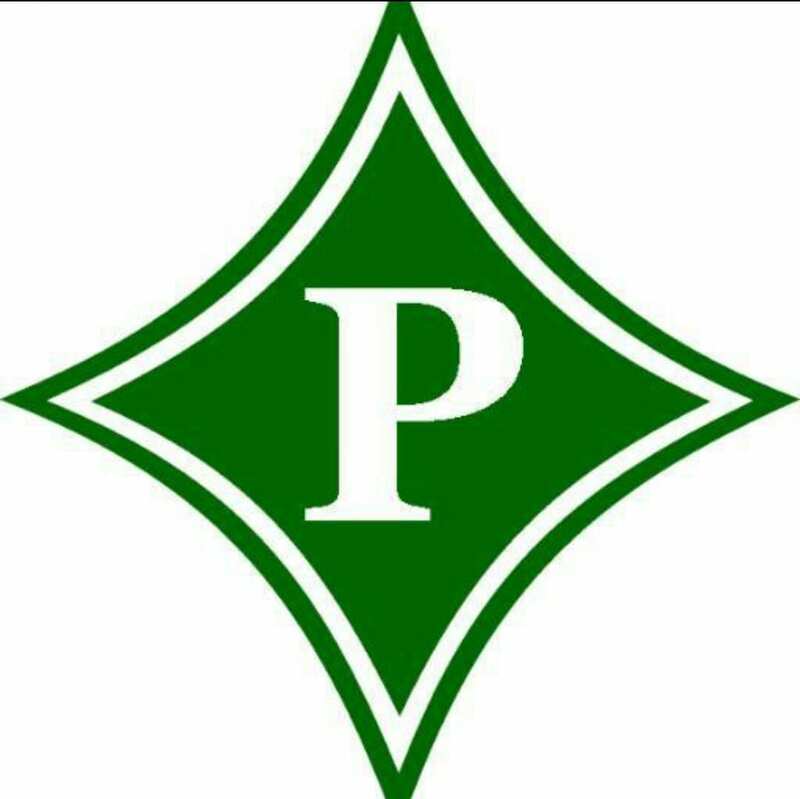 A huge turnout crowd got to reflect and honor the players, coaches, cheerleaders, and everyone involved in what was another great season for PHS football. 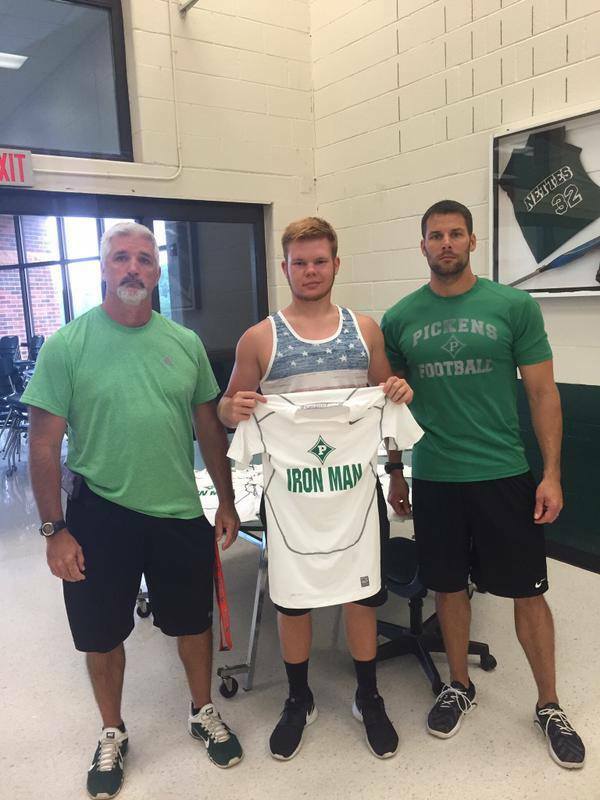 Head coach Chris Parker welcomed everyone, said a few words, and then invited the cheerleading coaches up to honor both JV and Varsity squads. 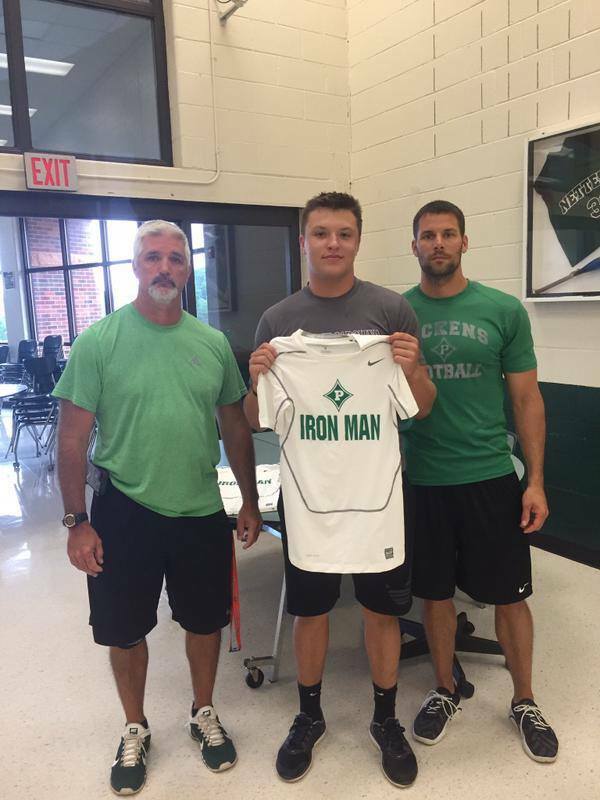 The coaches said a few words, then all the cheerleaders, from freshman to senior, were recognized and presented with their letter. 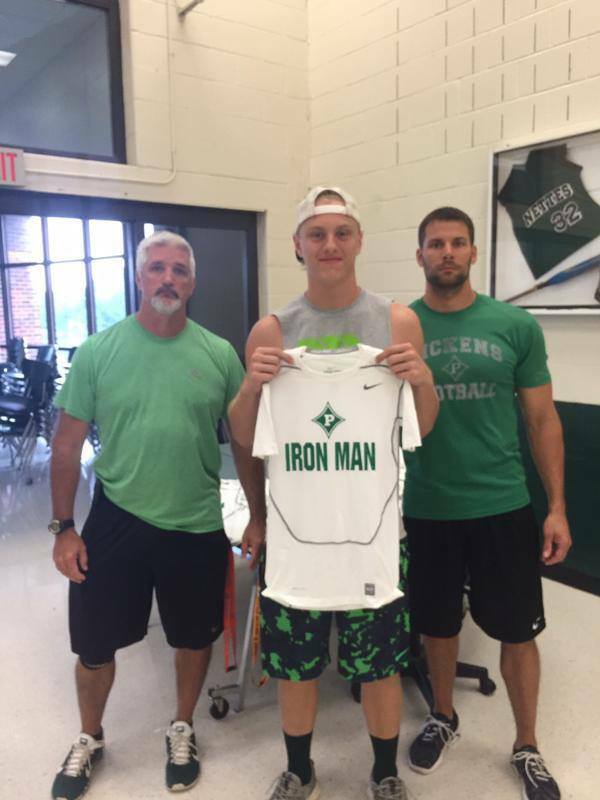 The senior cheerleaders then presented their coaches with gifts and said a few words expressing gratitude for all they have done for them. 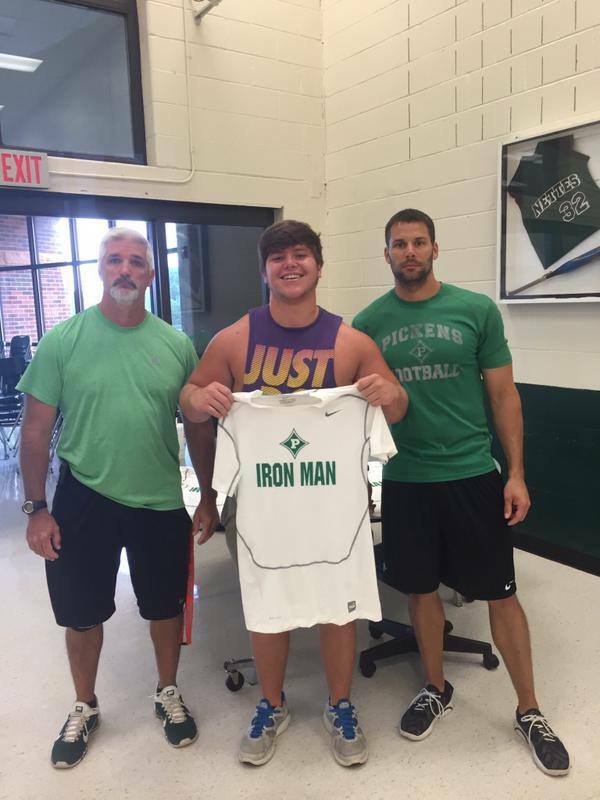 Then, it was the managers and underclassmen football players turn to be recognized as coach Parker called them up to the stage starting with the freshman and ending with the juniors. 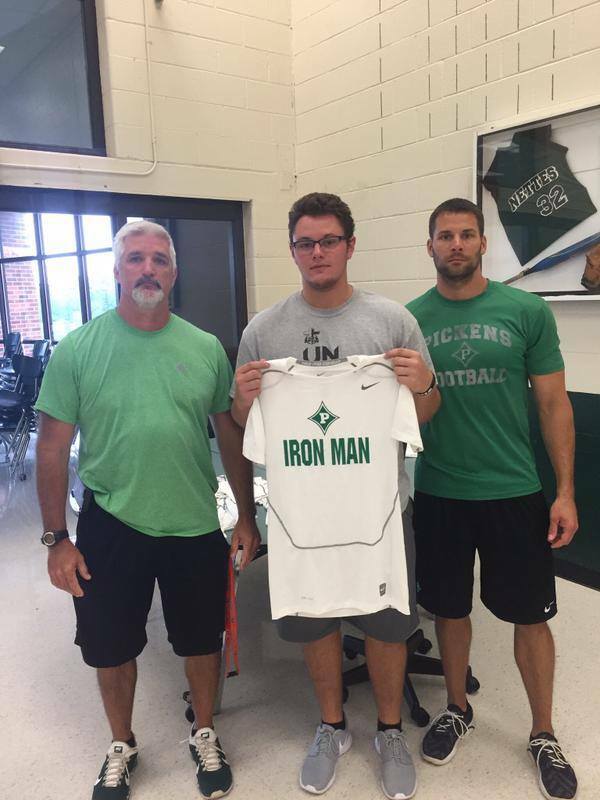 As each class stood before the audience, coach Parker talked to the crowd about them and how they’ve done this season and what he expects in the season to come. 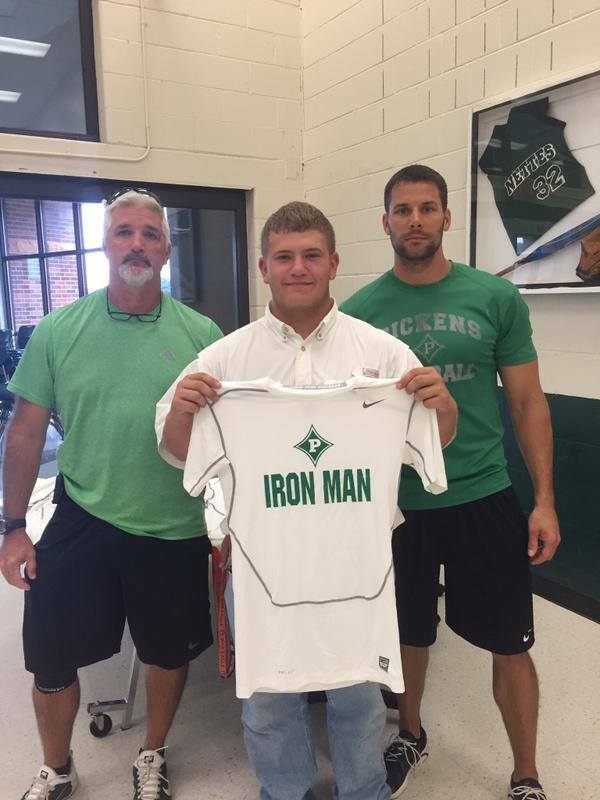 For the seniors, coach Parker wanted to try something different. 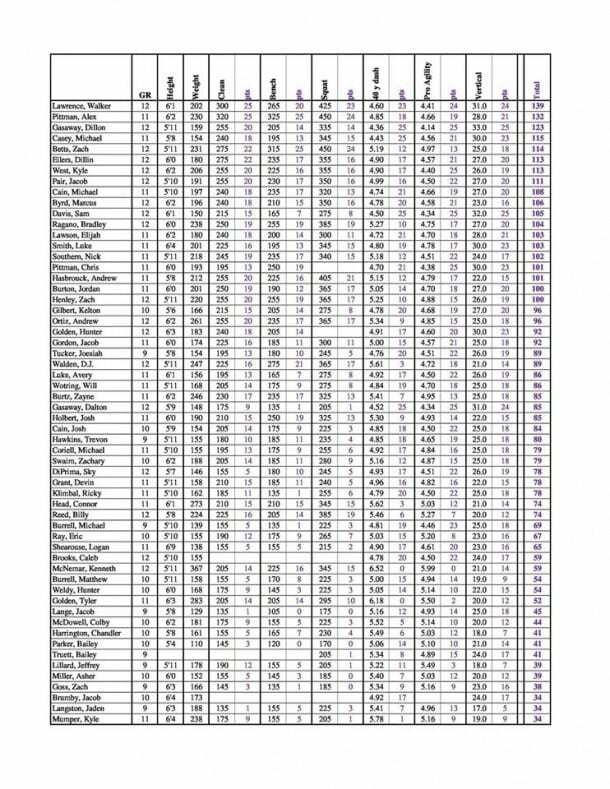 Kyle West, Tucker Green, Billy Reed, Austin Massey, Jacob Pair, Zach Henley, Bradley Ragano, Jake Campbell, Marcus Byrd, Dillon Eilers, Zach Betts, Zach Hermann, Caleb Brooks, & Dillin Gasaway. 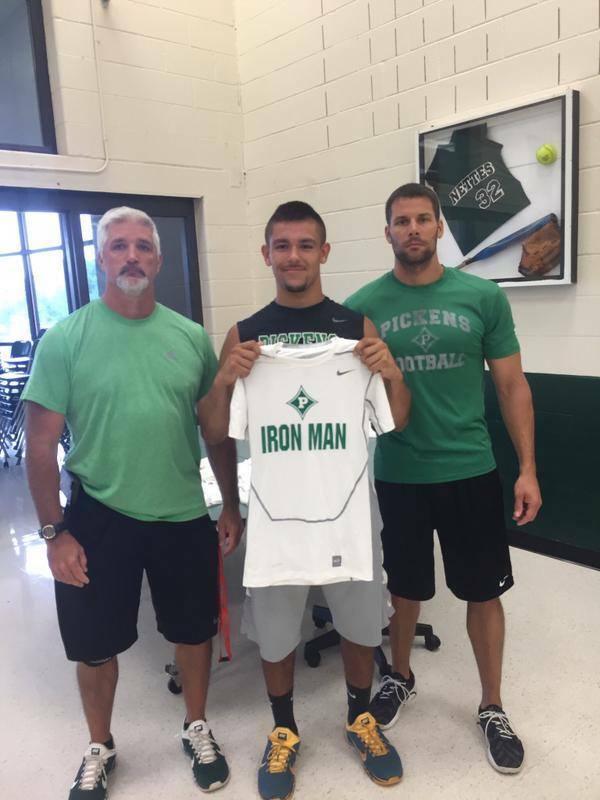 Congrats to everyone involved that made this a great season for PHS football. 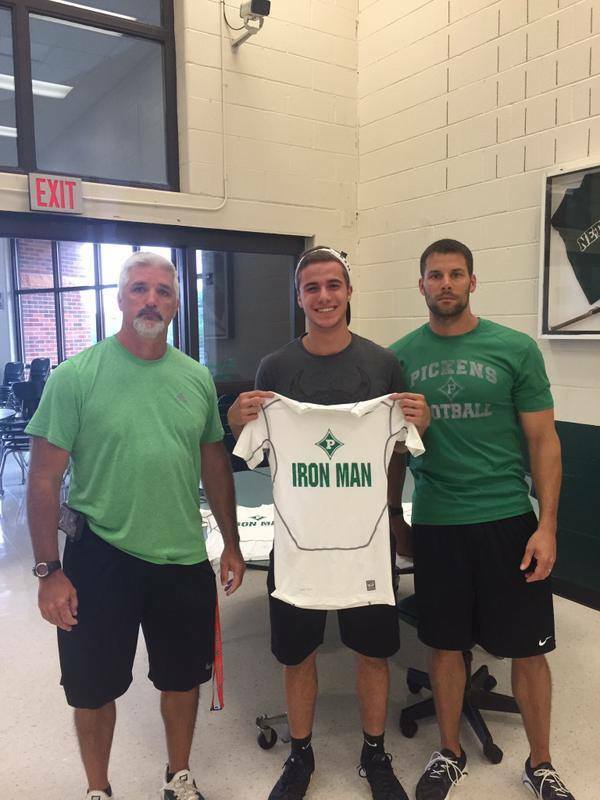 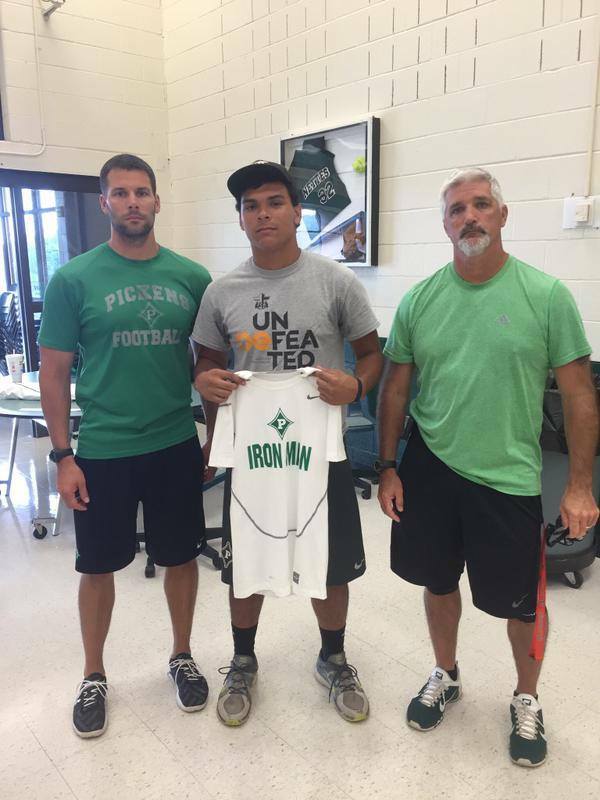 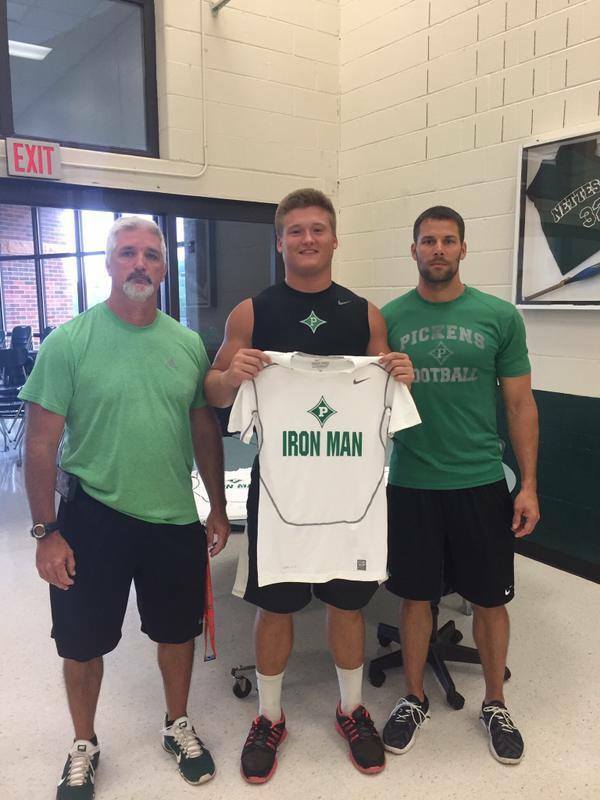 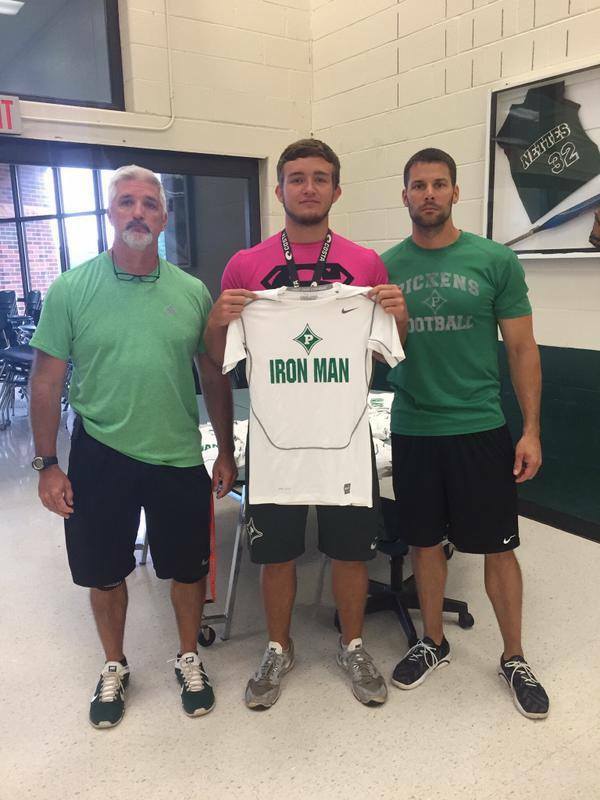 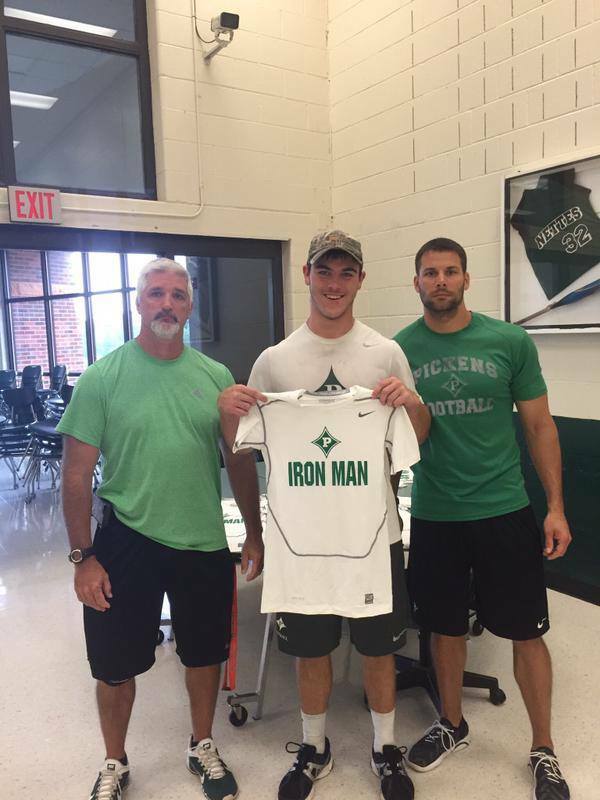 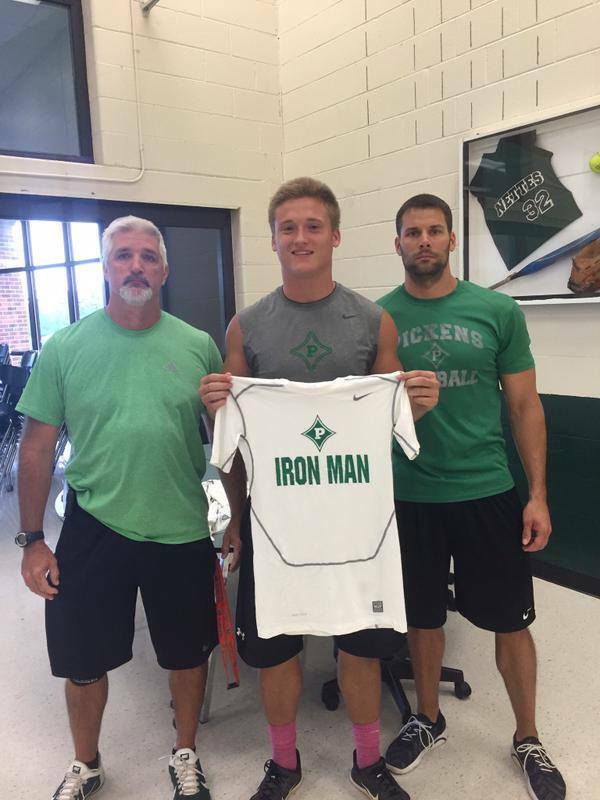 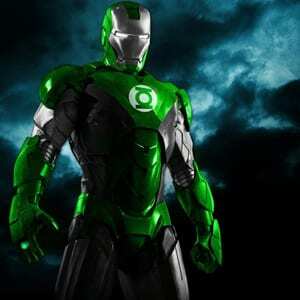 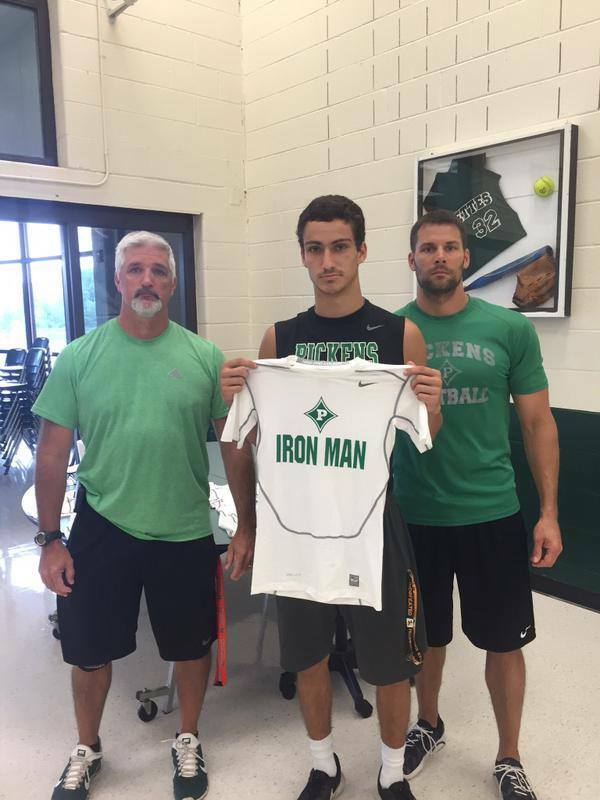 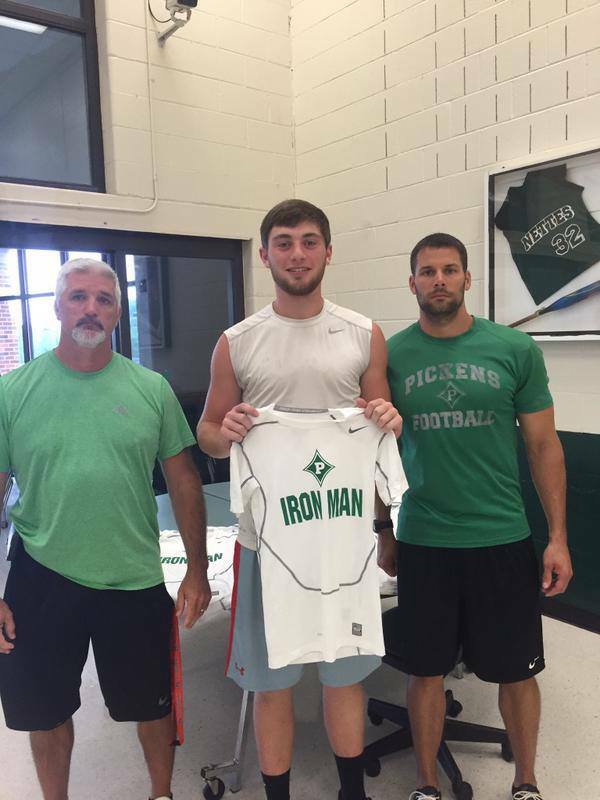 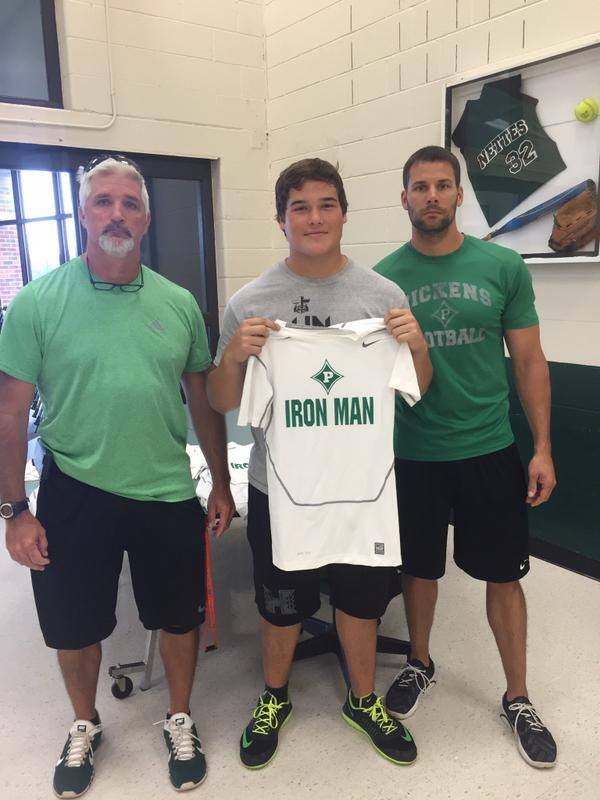 The Pickens High School football team has released the annual Iron Man competition results have been released. 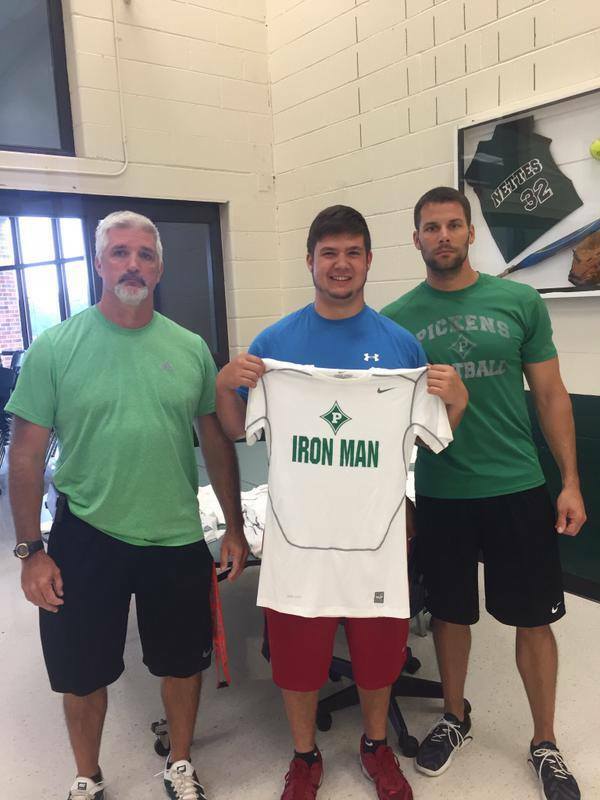 There are 18 new 2015 PHS Iron Men. 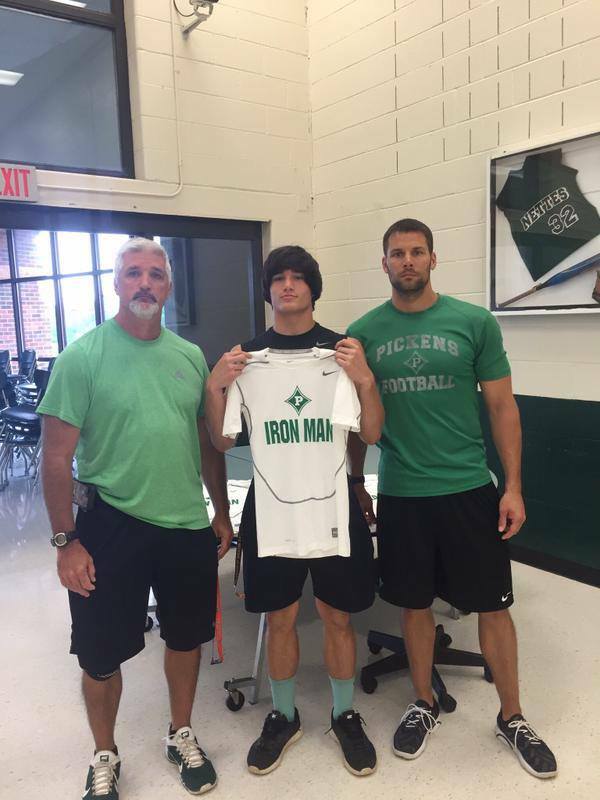 Click here, to hear PHS head football coach, Chris Parker, discuss the Iron Man testing in full.